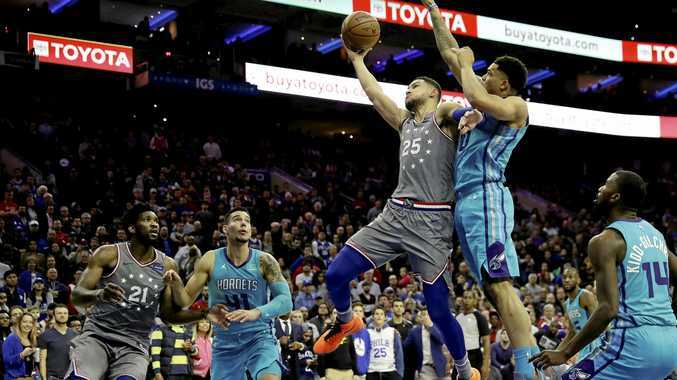 AN OFFENSIVE takeover from Joel Embiid was a joy to watch, but it was the defensive prowess of Ben Simmons that sealed a tense win for the Philadelphia 76ers on Saturday (AEST). Embiid would split the ensuing free throws, capping off what ended up as a 133-132 victory for Brett Brown's team. "That was huge," Embiid said of Simmons' defensive play. "Obviously, he's one of the best defensive players in the league. He did his job and we got the win. That gave us the win." This sort of line is a continuation of Embiid's play recently and his Australian teammate had only good words for the All-Star centre. "I think he's been playing amazing," Simmons said of Embiid. "He's getting better every day. He's definitely more improved since last season. "I think we're having a lot of fun when we're getting on the court together."